Create possibilities for the children of rural areas in Guatemala that lack opportunities. Become part of Café con Causa and together we can ensure that more children in Guatemala have access to education and a chance at a better future. Each bag of Café con Causa educates. Therefore, while you enjoy an exquisite experience of flavor and aroma, you are contributing to plant a seed for a new future for the country's children. Make of Café con Causa your daily selection. Each bag of Café con Causa brings us closer to the goal. Help us by consuming this coffee at work, help us spread the word in your social networks and become an partner on this cause. Tell your friends, families and colleagues about Café Con Causa, so that they, too, can join us in this effort. 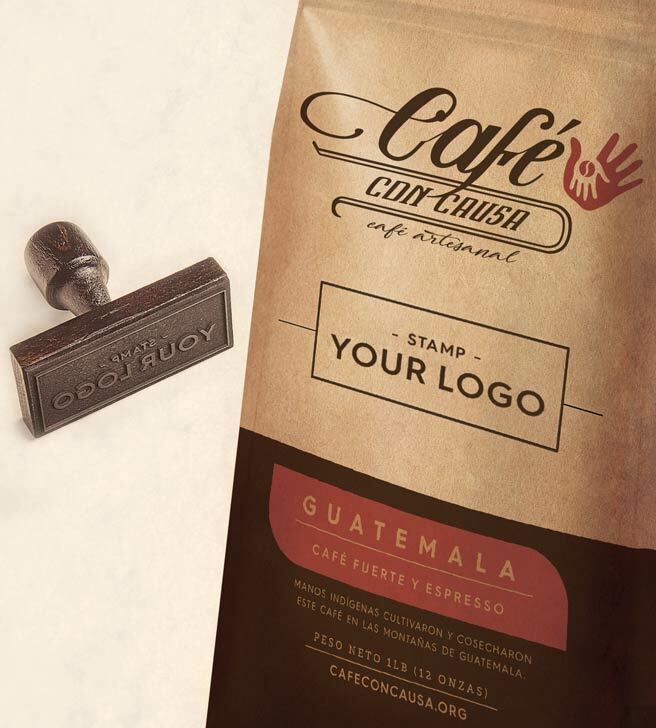 When you buy 70 bags/pound or more of Café Con Cuasa, we can personalize it for you by stamping your logo or name in its packaging. Ideal for gifts to co-workers, business partners or visitors as a small token from Guatemala which clearly conveys your social vision. How wonderful it is to do so?with high quality coffee, which is one of the signature products of Guatemala!